Oregon: A master planning approach to landscape design serves up a system of healthful opportunities. What do most architects think of when they hear the term healing environment? Is it innovative technology, buildings, and facilities planning? Or is it water features, artwork, and views of lush landscaping? 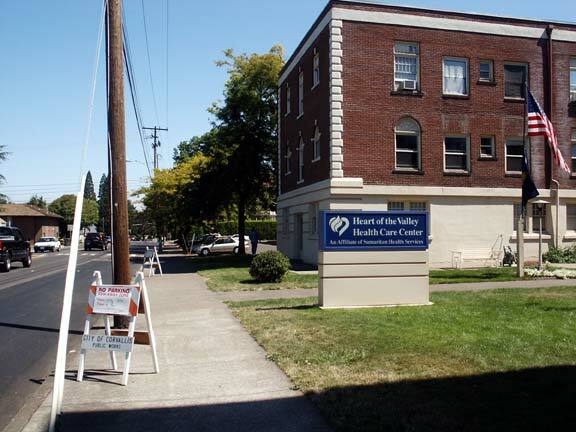 The answer should be both, according to Portland, Oregon-based landscape architecture firm Macdonald Environmental Planning (MEP) when challenged with broadening the definition of a healing environment and communicating this expanded view with the Samaritan Health Services system. 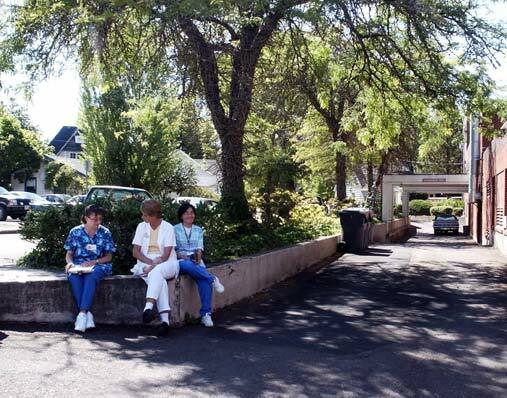 The plan encompassed five hospitals and two senior care facilities in the Willamette Valley and along the Oregon coast. 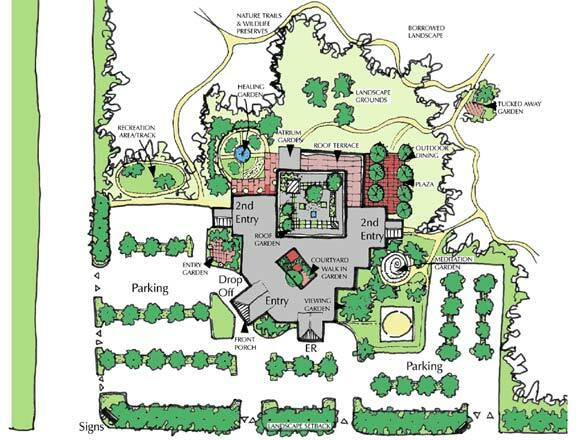 Typically, healthcare administrators and facilities managers involve landscape architects late in the decision-making process – often after major planning decisions have been made. The result? 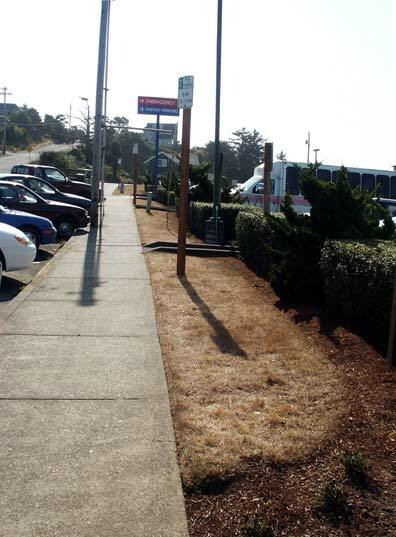 Missed opportunities: Views of parking and maintenance areas from patient rooms, entrances made up of asphalt, areas of un-mowed and un-irrigated grass, and a lack of uniform signage. By themselves, these can be minor issues that don’t hold much weight. Taken collectively, these can add up to environments that can actually be detrimental to the well-being of patients, staff members, and visitors. In essence, the environment can harm instead of heal. Research and site visits showed that there was no simple solution to building or planning for healing environments due to the different needs of each facility. 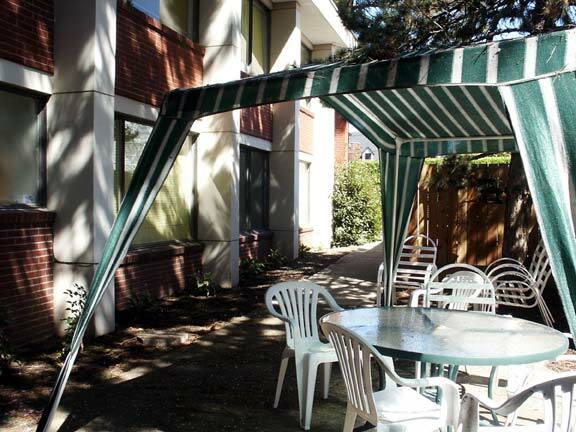 A number of the facilities involved in the master planning process were recently combined under the Samaritan umbrella. The history of diverse ownership, coupled with regional variations, made each facility a unique situation. 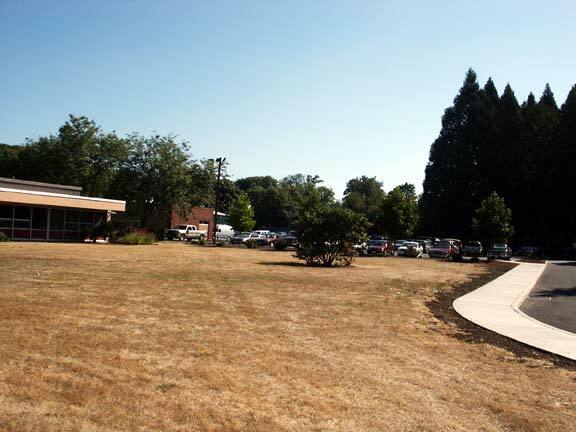 For example, Good Samaritan Regional Medical Center in Corvallis serves a three-county area of 250,000 people with 1,500 employees. 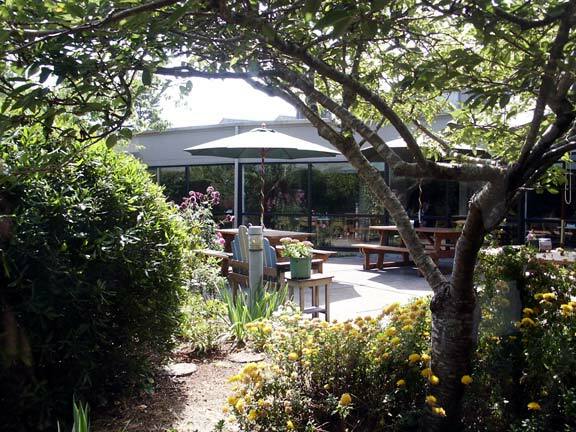 In comparison, Samaritan Pacific Communities in Newport has 380 employees and is situated on the Oregon coast, a radically different social and physical environment. While they are now all members of the Samaritan system, they remain independent of each other in many ways. The goal wasn’t to give each facility a general aesthetic; it was important to maintain each facility’s unique regional character. This is where the healing environments philosophy came into play. The reality is that everyone in a healthcare system – administrators, staff, and patients – has a different idea about how an environment can contribute to healing. The specifics of facilities, priorities, and budgets all fall into place when the system administration and staff buy into and proceed with a shared vision. 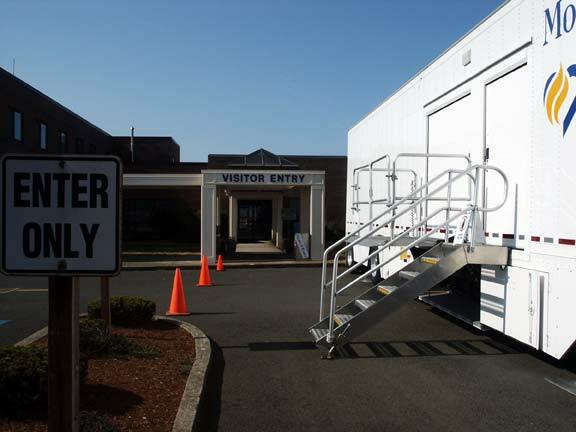 Providing participation at all levels at all seven facilities was accomplished through a combination of communications tools including videoconferencing, web/e-mail lists, and face-to-face meetings. Visuals such as graphics, photos, and drawings helped participants explore and understand the possibilities that healing environments offer. 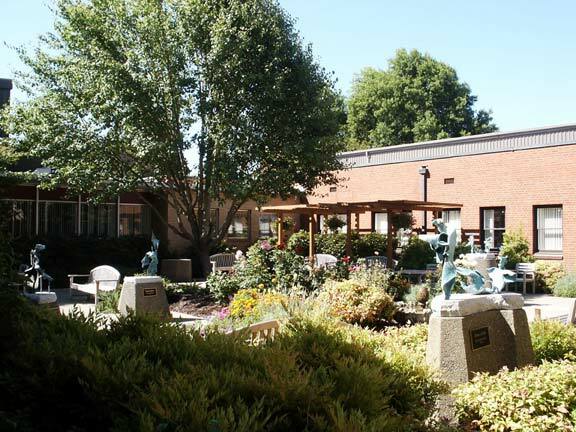 Surveys yielded answers to questions about favorite and least favorite areas at each facility, site navigation, specific types of activities that may take place outdoors, and opportunities for privacy and respite for patients, visitors, and staff. 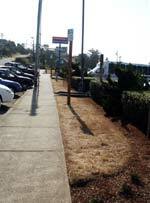 · A beautiful, well-maintained site gains more support from the community, potential donors, and funders. Macdonald Environmental Planning, p.c. was established in 1982. MEP is a design-oriented firm involved in a wide variety of landscape architecture and master planning projects. 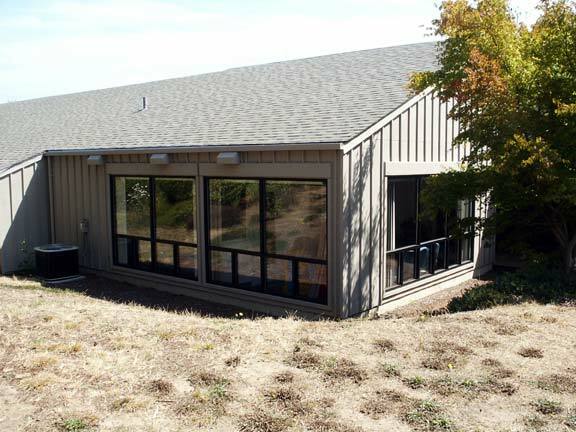 The firm specializes in medical facility design and planning, housing, and sustainable design. Jack Rubinger specializes in marketing for the design/architecture/construction industry; contact: 503-469-9209. 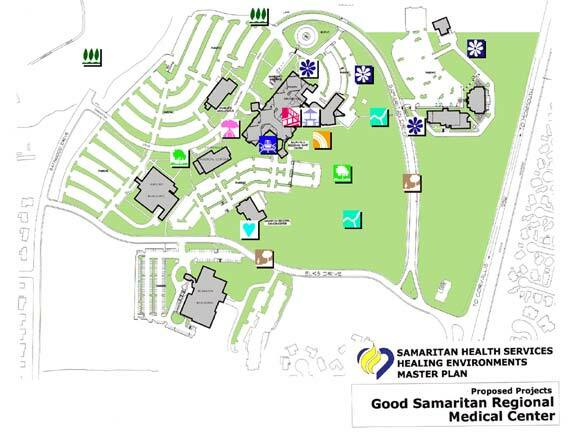 This Healing Environments map highlights the potential types of healing environments that can be incorporated into any campus. 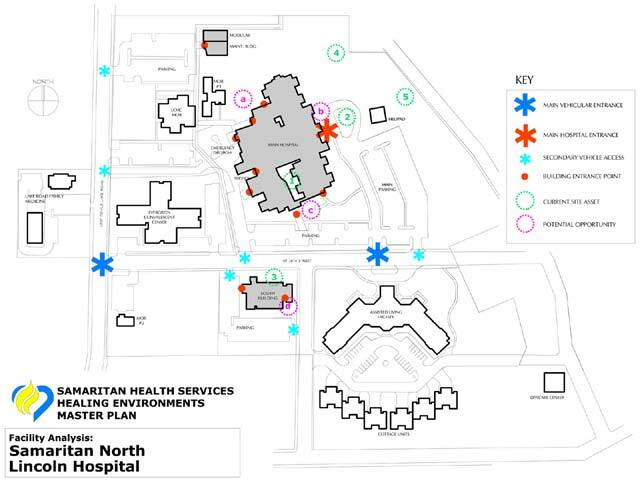 Example of a Facility Analysis map: These maps graphically depict current site assets and potential opportunities. Example of a Facility Improvement Map: These maps provide a visual planning tool for systemwide planners and individual facilities; their visual nature makes it easy to compare facilities, and create a cohesive, balanced, systemwide picture.